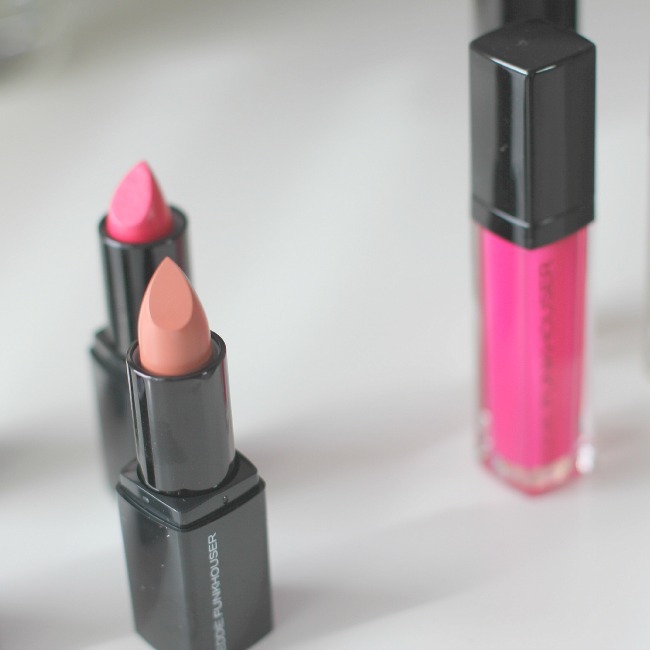 as a Makeup Wars group we got together this month to review the Eddie Funkhouser Lipstick and Lipgloss products. i love being a part of the Makeup Wars and getting a chance to review products with my fellow beauty bloggers. hearing their likes and dislikes about a product is extremely insightful and i highly trust their opinions. definitely take a minute to click through using the links at the end of this post to see what they have to say about the Eddie Funkhouser products. first was the lipstick Innuendo. Innuendo is part of the Hyperreal Nourishing Lip Color line. it is an update of the classic lipstick with intense pigments plus it hydrates. application has a lightweight yet luxurious finish leaving a gorgeous color that last hours. next was the lipstick Strip Search. this color is a part of the Chromographic Lip Color line. this line has colors that saturate lips with vibrant hues and light reflecting particles for a creamy finish with eye-catching multi-dimensional effects. 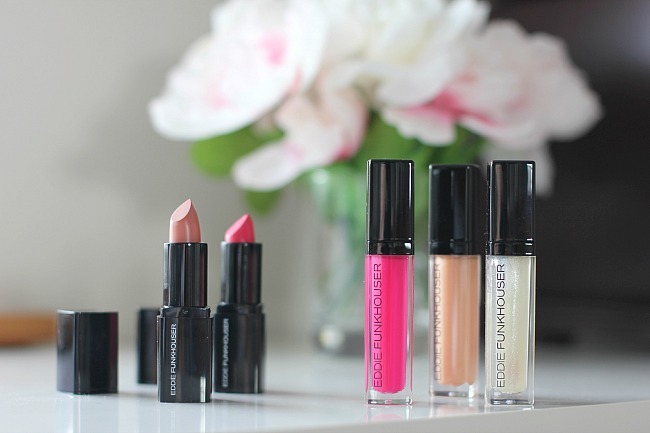 last were the Hyperreal Hydrating Lip Glosses in Belle De Jour, Broadway Babe and Meow Meow. these glosses are lightweight with a low-tack formula that provides a brilliant color-rich multidimensional finish. all products offered a great color range and colors that are flattering on many skin tones. the product formulation was comfortable to wear and lasted throughout typical daily wear. the quality for the cost is definitely realistic. products can be purchased online at www.eddiefunkhouser.com as well as online retailers Urban Outfitters and Nasty Gal.